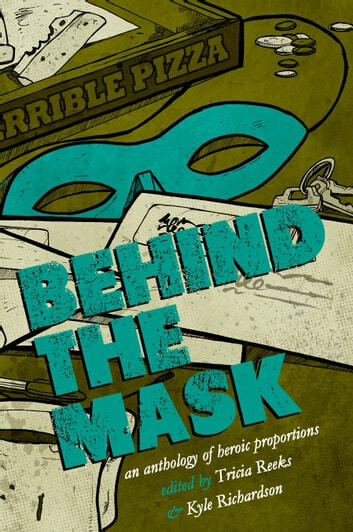 Behind the Mask is a multi-author collection with stories by award-winning authors Kelly Link, Cat Rambo, Carrie Vaughn, Seanan McGuire, Lavie Tidhar, Sarah Pinsker, Keith Rosson, Kate Marshall, Chris Large and others. It is partially a prose nod to the comic world - the bombast, the larger-than-life, the save-the-worlds and the calls-to-adventure. But it’s also a spotlight on the more intimate side of the genre. The hopes and dreams of our cape-clad heroes. The regrets and longings of our cowled villains. That poignant, solitary view of the world that can only be experienced from behind the mask. Publisher’s Weekly - "Reeks and Richardson have pulled together a treasure trove of 20 stories . . . exploring the lives of superheroes when they’re not saving the world. . . . There is nary a miss in this diverse and thoughtful collection, which will have readers considering what it means to be human." Kirkus Reviews - (starred review) "A momentous, readable collection, its sole downside being that there are only 20 superhero stories."